Welcome to 'Ocean's Apart', the only fanlisting listed at TheFanlistings.org for the film 'Ocean's Twelve'! The aim of a fanlisting is to create a list of all the fans of a particular subject; with this site, Ocean's Twelve fans. Please look around the fanlisting and if you're a fan of this film, consider adding your name to the fan list! The Ocean's Twelve fanlisting was last updated on 29th March 2019. There are 353 fans listed, with 0 waiting to be added and the newest member is Kaz. 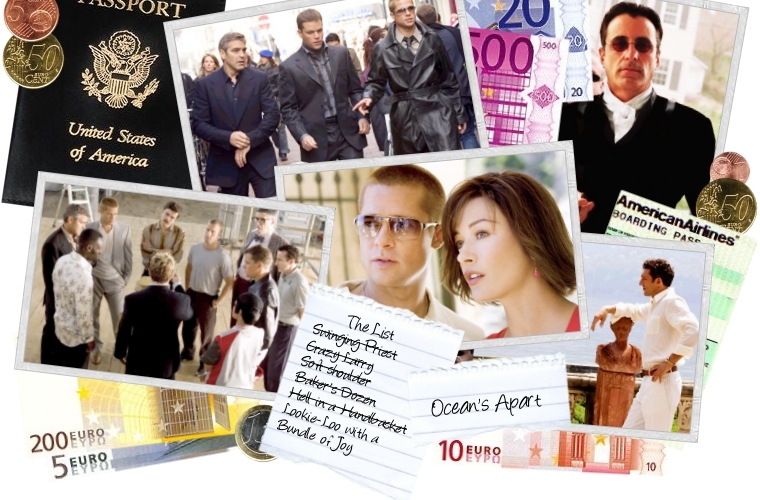 The Ocean's Twelve fanlisting was created on 9th September 2005 and uses the Enthusiast script. Danny: Do I look 50 to you? Basher: Well, I mean, you know, only from the neck up. The Ocean's Twelve fanlisting is an unofficial fan site and is not in any way affiliated with or endorsed by Warner Bros., Section Eight, Steven Soderbergh, the cast or any other person, company or studio connected to 'Ocean's Twelve'. All copyrighted material is the property of it's respective owners. The use of any of this material is intended for non-profit, entertainment-only purposes. No copyright infringement is intended. Original content & layout is � The Ocean's Twelve fanlisting and should not be used without permission.